By now almost the entire archdiocese knows that our two parishes, along with at least six others in the archdiocese are being “open-listed” this weekend. With the most gracious and fond remembrances of this assignment, I have been granted the status of “retired clergy” due to medical conditions effective midnight June 30, 2017. That means that to the very day I will have completed my promise to remain as a pastor of St. Joseph and St. Francis Xavier for a period of six years. Now that the two parishes are open listed, it also means any priest in the archdiocese has the opportunity to “apply” as my replacement. It is with difficulty that I express the benefits to me and my priesthood serving as your pastor. I hope not to omit anyone in my sincere thanks. However, anyone in either parish even. a week is aware of the extremely important and supportive role Sandy Greene has played in making sure the parishes run smoothly. To other support staff past and present–Diane, Kris, Lori, Artall, Kathy, Maxine and the list goes on and on–I want to thank you for being part of a parish team. The trustees from both parishes have been extremely helpful in their advisory and consultative role, along with people on the parish councils and finance committees. The musicians; Altar Society, lectors and Eucharistic ministers–and especially Marilyn Strege at St. Joseph’s and Tony Zais at St. Francis Xavier–all the “people behind the scenes” a very special thank you! To the altar servers, teachers, the wonderful Knights of Columbus for their extreme commitment toward remodeling the kitchen and back wall–I can’t thank you enough. 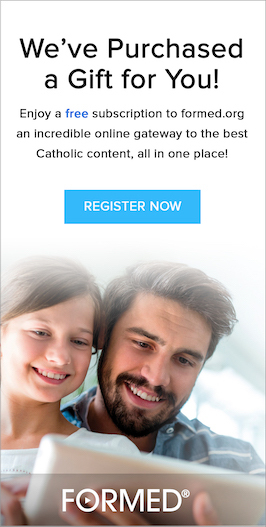 All of you are part of our wonderful 2000 year Roman Catholic heritage. We are pilgrims on a journey which I pray will allow all of us to meet our Lord and Savior someday and live with Him forever. I will be given a letter of a priest in “good standing” which, along with the permission of local bishops, will allow me to continue helping out and replacing priests on sabbatical, vacations or where there is a shortage of priests on Sundays. The future is open and I’m excited. So, soon priests will begin “looking the parishes over”–and once that priest has made the intention known that he would like this assignment, and the Archbishop Hebda agrees, you will have a replacement. I would think by early June you’ll know who is corning. Whoever the new priest is I wish him well. He will have a great experience, as I did. I ask that he pray for me and the 24 or more priests that have come before him to these special parishes–and that he take care of you, my people. May he always remember that he will be judged whether he has kept his flock bound or helped to set them free in his Priestly ministry. And may the new priest know that our dear friend, Fr. Shanley, will always be there to help him!